This weekend, Lydia, Gene’s mom, got to visit! She came on the perfect weekend because it didn’t rain, it was sunny most of the time, and the temperature was around the 60s. 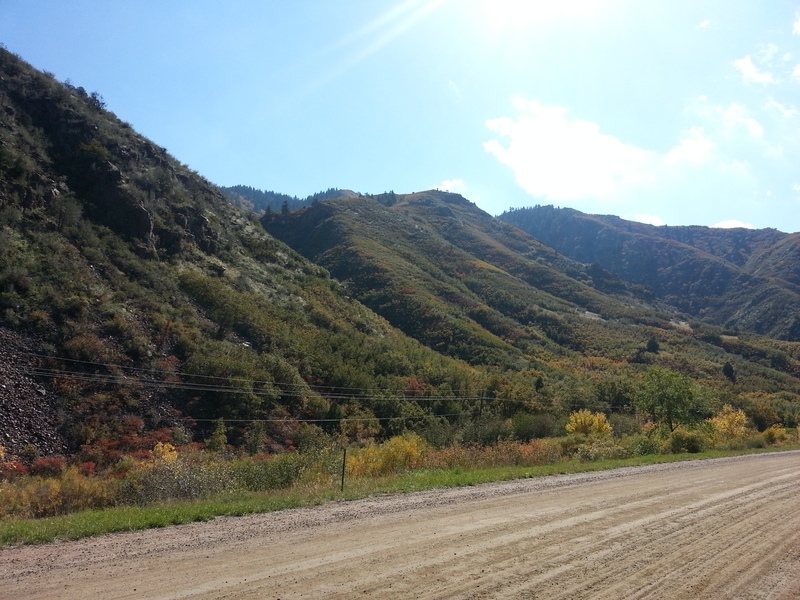 Yesterday we went on a hike at Waterton Canyon. 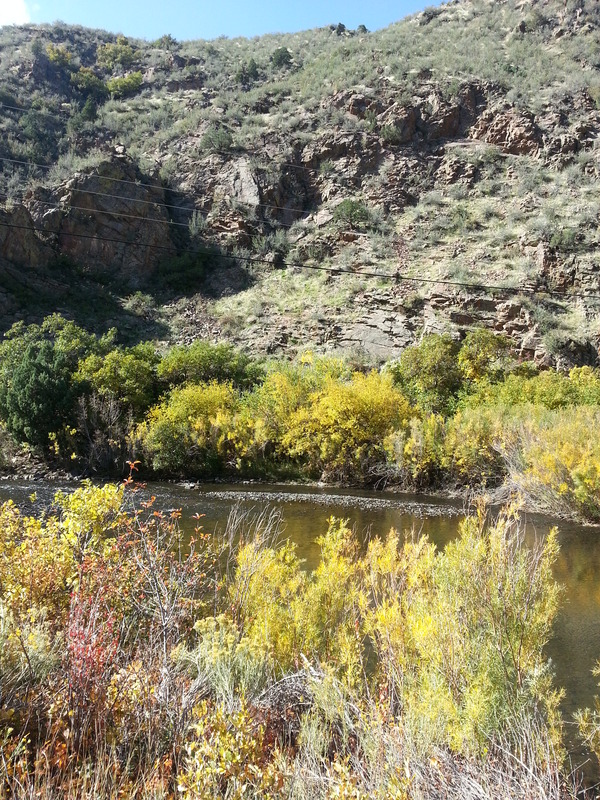 It’s a canyon just about 3 or 4 miles past the Chatfield Reservoir. It’s free and it’s great for biking, hiking, jogging, and horse back riding. The trail is wide and flat so there’s plenty of room for everyone. We saw lots of bikers and joggers but I was content to just walk. We hiked a little more than 3 miles in and then headed back. The views were so beautiful, I will definitely go again. 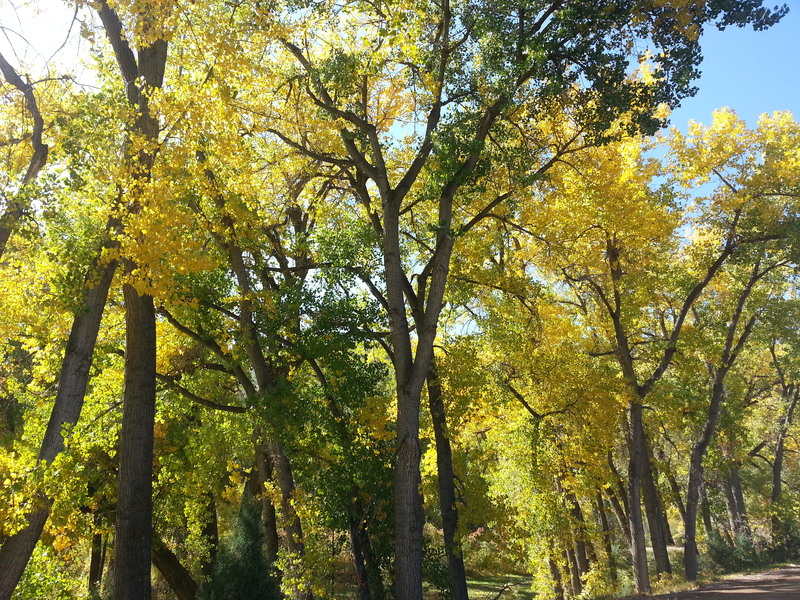 Many of the trees had turned yellow so it was a fantastic fall walk. The rock surrounding the canyon was great, there were so many colors and shapes. We also saw some mule deer and bighorn sheep. We were hoping to spot a mountain lion or a bear (as they have been known to be in that area) but had no luck. There are picnic tables maybe every half mile to a mile, so you can stop whenever you need to. People can also go fishing, and once you get into the national forest, you can go hunting as well. This is a great hike for people just starting out and not wanting something too difficult or for those people who can’t necessarily walk for a long period of time. After our hike we went to the Botanic Gardens: Chatfield Pumpkin Patch and Festival. We got some much needed food and walked around looking at the sights. Gene and I then went to the cornmaze that we finished in half an hour. At first it was a bit of a bust because the corn was not tall at all, we could see the entire maze and all the people walking around. It became more fun when the corn got a bit taller and we started looking for the numbered posts. We did take a few wrong turns but no one had to come looking for us in the end. The pumpkin patch was our final stop for the night. I wanted to get a few small pumpkins for the apartment. I liked this pumpkin patch because there were so many pumpkins, and it was an actual patch. Many of the pumpkins were mushy or smashed, but there were a lot of good ones left. I saw some people lugging around HUGE pumpkins, I can’t imagine what they’re going to carve out of them! I ended up getting a couple of small pumpkins and a few gourds. The gourds were free and the pumpkins came out to $3 total so I was thrilled. It was such a fun day that I miss it already, thankfully I have my pumpkins to remind me of the great times! We’ll have to go there sometime – looks nice.